This week saw the most anticipated day of the year for the Pinot lovers at Montalto Vineyard & Olive Grove - the release of Montalto's range of 2015 Single Vineyard Pinot Noir. These wines showcase the premium fruit and most intricate winemaking, while getting the best expression from each vineyard site. 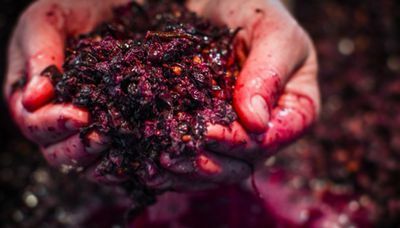 The 2015 vintage was a perfect Mornington Peninsula Pinot year, so as you'd expect the latest Single Vineyard range ranks amongst the best ever produced and the results speak for themselves, with a string of Wine Show awards, plus the Tuerong Block has just been voted Best Mornington Pinot by the tasting team at Gourmet Traveller Wine. All things Pinot are celebrated on Montalto's Ultimate Pinot Lovers Road Trip. A full day of discovery exploring the various vineyard sites that contribute to the diversity and quality of Montalto's range of Pinot Noir. The tour begins in the winery, where a member of the award winning winemaking team will guide you through a barrel tasting of current vintage wines while explaining how each was made. Next, armed with a selection of Montalto provisions for the journey, it’s time for a picturesque road-trip of Peninsula microclimates. You’ll experience first-hand the 'sense of place' that characterises the premium Single Vineyard Pinot Noir range. Visiting the vineyards at Tuerong, Merricks and Main Ridge, you’ll see the soil, touch the vines and taste the finished wines from each site. 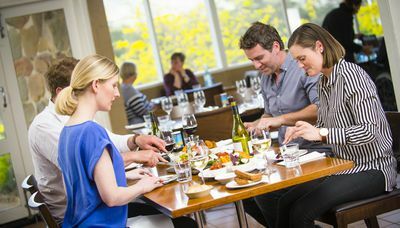 After gaining a true appreciation for the diversity of each location and its expression in the glass, you’ll then head to the Montalto home vineyard, cellar door and restaurant at Red Hill. Here you’ll be treated to a six-course degustation lunch with matched wine while taking in stunning views across the Estate.